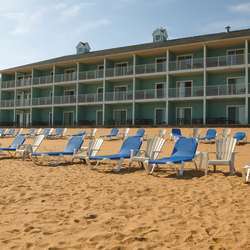 The Grand Beach Resort Hotel...the name itself is a pretty big promise. After all, how “grand” can a beach be? Take one step from your beachfront room, and you quickly realize that “grand” is an understatement. Over 300 feet of sugar sand beach spread out before you, seemingly made for long, leisurely strolls. Waves of blue and turquoise entice you to dip a toe (or more), as gulls and other birds glide above the dancing waters. This is precisely why you came to Traverse City. 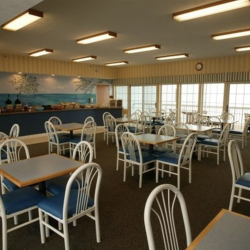 Located on the Traverse City’s “main strip”, the Grand Beach Resort Hotel is convenient to all that Traverse City has to offer. When you pull out of the property’s parking lot, you can head in either direction and find a memorable adventure of your own making. Head up through town and up M-22 along the Leelanau Peninsula and you’ll discover one of the state’s finest wine regions. If golf is your game, you can have your pick of several different championship courses that are, quite literally, just a “drive” away. There’s plenty of casino gaming action to be had as well. Of course, if you’d rather visit with Mother Nature than Lady Luck, there are plenty of hiking and biking trails where you can enjoy sweeping views and welcome solitude. Of course, given that you’re staying right on the bay, you really don’t have to venture far to enjoy yourself. 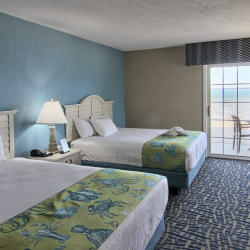 You can enjoy the heated indoor pool or relax in the indoor spa. You can take in a show and enjoy an elegant meal downtown, or shop to your heart’s (and budget’s) content in the many boutiques. Of course, you can simply relax on your own private balcony and watch the waves and marvel at the many colors of the water. It’s really all up to you…which is just as it should be.